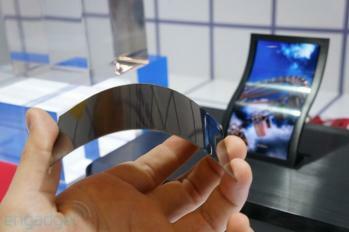 In October 7, LG Display announced that it will soon start mass producing flexible OLEDs. Today we have talked with LG Display officials, and they confirmed that mass production has indeed started. The company currently makes 6" panels that weigh just 7.2 grams are are only 0.44 mm thick (only a third of the thickness of LG's thinnest mobile LCDs). LGD updates us that the current flexible OLED production capacity in their 4.5-Gen line is 6,000 substrates a month (previously we reported that capacity will be 12,000 substrates). Perhaps the rest of the capacity is dedicated to R&D. In any case 6,000 substrates a month means almost 400,000 6" panels - assuming 100% yields. Of course yields will be lower but it seems that LGD indeed means to produce a fair share of displays and it'll be interesting how they (or other companies) adopt these panels in products. LGD didn't yet commit to expand production. They want to monitor how the market reacts to those OLEDs and will only make investment decisions afterwards. In their LGD also stated that we should expect new products with "enhanced performance and differentiated designs" next year. 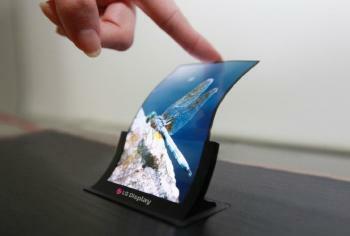 LGD now confirms that they mean new OLED panels, they were not referring to new actual devices. LGD also confirms that the panels use a direct-emission (RGB) architecture in those panels, patterned using FMM. They explain that FMM is good enough for small-sized OLEDs (this is not true for large OLED TV 8.5-Gen substrates - for which FMM is not suitable and so LGD uses WRGB which does not require patterning). Those panels use an LTPS backplane (on a plastic substrate) again unlike LG's OLED TVs which use Oxide-TFT. Regarding the encapsulation, LGD says they use film-type encapsulation. 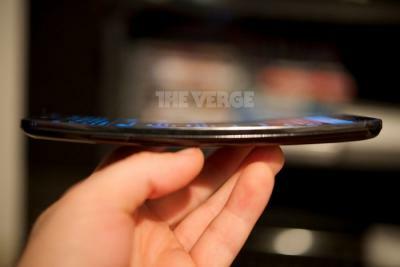 They attach the protective film to the back of the panel which ensures that it is bendable and unbreakable. Unfortunately LGD will not disclose any new information regarding the upcoming G Flex smartphone that will be the first device to use their flexible OLEDs. So LGs oled display on mobile will be RGB stripe? Or am I reading it wrong? Something Samsung couldn't even accomplish.